The Bakers' Cupcake necklace by FreshyFig is the perfect piece of jewelry for avid bakers and home cooks. Gold-plated measuring spoon and baking pan charms dangle from a 17-inch 14-karat gold chain for a touch of added opulence. 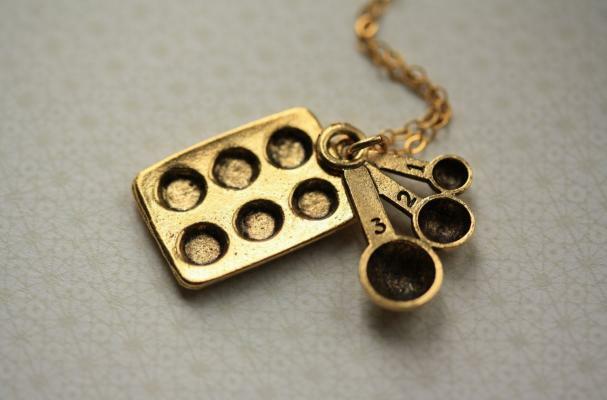 The charms on the Bakers' Cupcake necklace measure between 1/2 inch and 3/4 inch -- just small enough to remain subtle. They're available at the FreshyFig Etsy shop.